One month free on a 13 month lease, net effective rent reflected. 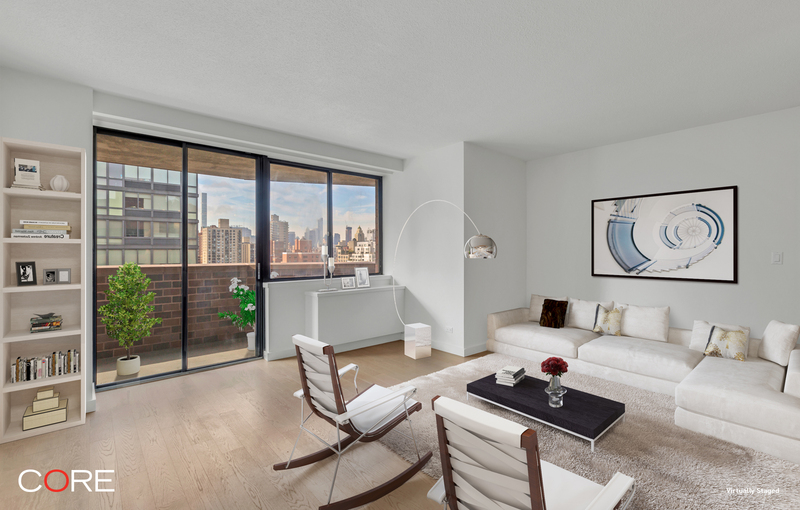 Newly renovated, this two-bedroom, two-bath has a private terrace that runs the length of the apartment. This home provides luxury living at a competitive price point with incredible attention to detail, high-end finishes and an open kitchen concept. As you enter, you are greeted by a wall of closets to the right and the entrance to the kitchen on the left. The open kitchen with Caesarstone countertops and white lacquer cabinets is finished with Benchmark Bosch appliances. Both bathrooms are adorned with Robern medicine cabinetry and vanities as well as Kohler deep soaking bathtubs. Flagged by bedrooms on either side, the wide living room offers space for both living and dining and is south facing looking out to the terrace. The master bedroom has an en-suite bathroom and great closet space. The second bedroom is larger than the typical size and both bedrooms also face the terrace. 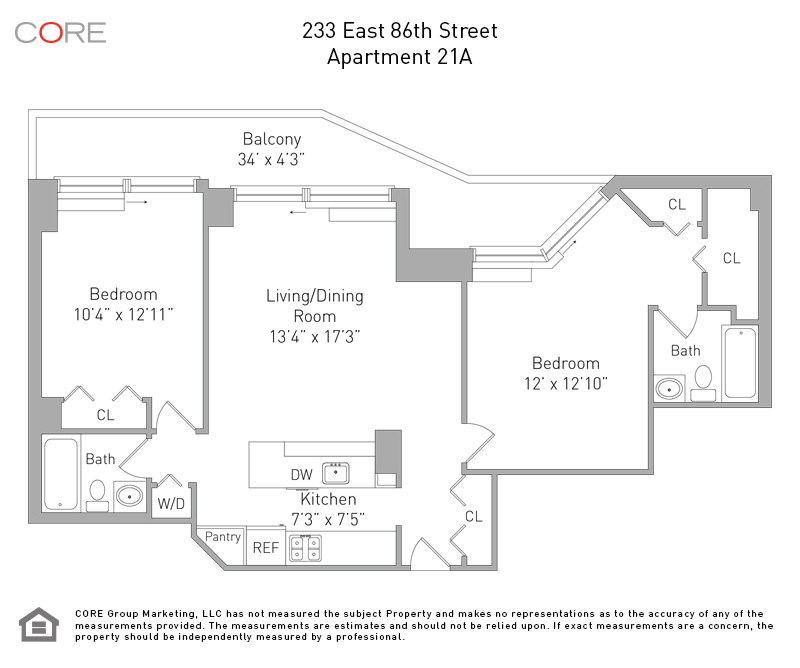 With 5 1/4 inch hardwood floors and ample closet space throughout, the layout is efficient and the renovation pristine.